Do You Wish to Report Misconduct or Abuse? Music from immigration activist and singer Sandra Montes and a series of imaginative monologues based on the life of Mary, the mother of Jesus — from the Annunciation to old age on Patmos — will be featured in “Through the Eyes of Mary,” a special liturgy on March 3 celebrating the “Our Sister’s Keeper” exhibit now in residence at the Cathedral Center. Bishops John Harvey Taylor and Diane Jardine Bruce will both take part in the liturgy, which will begin at 5 p.m. on Sunday, March 3, in St. Athanasius Church and be followed by a reception in the Great Hall. Marie Plakos, the photographer whose work is featured in “Our Sister’s Keeper,” will also attend. The “Our Sister’s Keeper” exhibit will be open for viewing at the March 3 event. (One of the photographs is pictured at left.) There is no charge, but a free-will offering will be taken for the Marie Plakos Scholarship, a new fund to aid women of color who intend to be ordained to the diaconate or priesthood in the Episcopal Church. For more information about the event or the scholarship fund, contact the Rev. Norma Guerra at associate@messiah-santaana.org or the Rev. Yein Kim at ykim@ladiocese.org. The Cathedral Center is located at 840 Echo Park Avenue, Los Angeles 90026. Updated 2-12-19 with additional information about the program and performers. 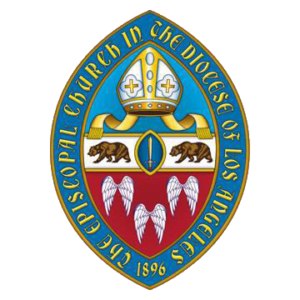 © 2018 Episcopal Diocese of Los Angeles. All Rights Reserved.